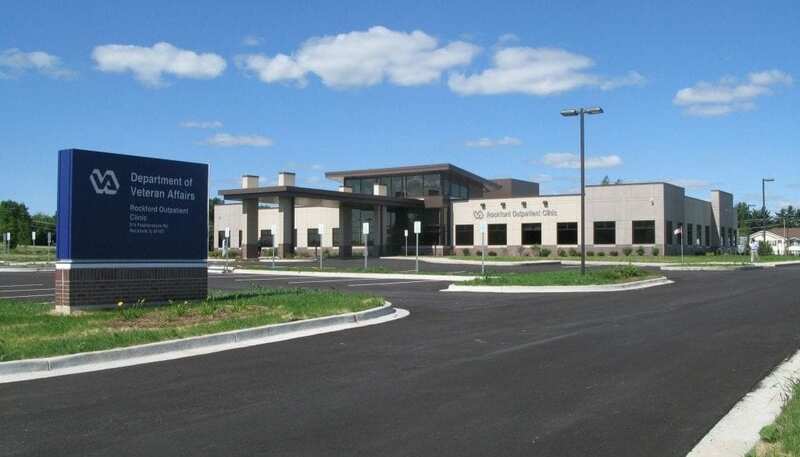 Today the U.S. Green Building Council (USGBC) announced that the Rockford VA Community-Based Outpatient Clinic was awarded LEED® Silver Certification. The Rockford VA Clinic was developed by Rockford VA LLC, an affiliate of W.D. Schorsch, LLC, a Lake Forest, Illinois-based Company specializing in government real estate. The clinic is part of the William S. Middleton Memorial Veterans Hospital out of Madison, Wisconsin. The clinic achieved LEED certification for implement practical and measurable strategies and solutions aimed at achieving high performance in sustainable site development, water savings, energy efficiency, materials section and indoor environmental quality. The approximately 31,000 square foot facility is designed to use 30% less water and 36% less energy than a typical code compliant new building. Additionally the building was designed to encourage low-emitting and fuel-efficient vehicles, used low emitting materials and provide additional ventilation for occupant health and well being. Cyclone Energy Group, a Chicago-based energy services firm, provided commissioning and LEED support services for the project. To learn more about Cyclone Energy Group, visit www.cyclonegrp.com.